Here are some games you can play as a family using average household items typically used for housework and housekeeping. Play these games to celebrate “No Housework” Day on April 7. Wouldn’t it be great to declare a day of fun and games with the spouse and kids rather than doing housework?! Below you will find links to games that you can play with household items such as a broom, bucket, iron board, laundry basket, forks, spoons, plates, and cups! Way more fun than doing the laundry and washing the dishes! *Broomski Ball: Roll tennis balls over a taped down broomstick and jump them into three buckets at different heights. 1) The game begins with the broomstick and buckets affixed to the floor, and the foul line placed 9 feet back from the front of the first bucket. 2) When the clock starts, player can begin rolling tennis balls. 3) To complete the game, player must land at least one ball into each basket. *Bucket Head: Catch 3 balls in a bucket on top of the head. 1) When the clock starts, player may grab 1 ball at a time and bounce it so that it hits the floor then wall before attempting to catch it in the bucket headgear. 2) Only balls caught behind the foul line may count toward total. 3) Ball must bounce directly from wall to bucket in order to score. 4) Player can’t play from a kneeling or seated position, or touch the bucket with the hands while trying to catch a ball. 5) To complete the game, player must catch and retain a total of 3 balls in the bucket atop the head within the 60-second time limit. *Get Forked: Roll quarters from behind a foul line so that one stands between the tines of a fork from a designated distance. 1) Create a foul line. 2) Secure the fork a designated distance away from the foul line so that it is face down and the tine openings are facing the foul line. 3) When the clock starts, player rolls quarters toward the fork. 4) To complete the game, get one quarter to stand in one of the tines within the 60-second time limit. The quarter must remain in the tine opening for 3 seconds. *Ka-Broom: Drop a broom onto a plate, catapulting a marshmallow into the air, then catch it in a cup. 1) Set up each plate so that it hangs halfway off the table with a marshmallow centered on the portion of the plate covering the table. 2) Create a foul line 7′ from the plates. 3) When the clock starts, player places broom bristle side down, and releases the handle so it makes contact with the plate. 4) The marshmallow should catapult into the air and the player must attempt to catch it in the cup while at least 1 foot is behind the foul line. 5) If a player’s hand makes contact with a marshmallow, the attempt does not count. 6) To complete the game, player must catch 3 marshmallows so that they are in the cup concurrently within the 60-second time limit. *Nimble Thimble: Player must bounce a marble into each of 6 thimbles. 1) Affix each thimble to the table with the open side facing up. 2) When the clock starts, player may toss 1 marble at a time towards the thimbles. 3) A marble must bounce at least once on the table, without being redirected by the player before landing in a thimble. 4) To complete the game, a marble must be stationary in each of the 6 thimbles concurrently within the 60-second time limit. *Spoon Frog: Bang down on a spoon to propel another spoon into a glass. 1) Set up 3 glasses in a row. 2) When the clock starts, player may begin arranging spoons and banging down on them to propel them into the glass. 3) Player must make a single motion, making contact with only 1 spoon when catapulting the spoon into the glass. 4) The spoon must land in the bottom of the glass to count. 5) To complete the game, player must land 1 spoon into each of 3 glasses and they must remain there concurrently within the 60-second time limit. *Spoon Tune: Arrange glasses of water within 60 seconds so that they play a preselected song when tapped with a spoon. 1) Prior to game start, fill glasses with water and tune them to the notes of the preselected song. Arrange the glasses in random order in the center of the table. 2) When the clock starts, contestant may start arranging the glasses in a line and tapping them with the spoon. 3) Glasses must be positioned in a clear line within 60 seconds to count toward completion of game. 4) If contestant knocks a glass over or spills enough water to change a glass’ note, the game will result in failure. 5) To complete the game, contestant must arrange the glasses in a line in the correct order correlating to the musical notes of the preselected song and have hands off the glasses within the 60-second time limit. 6) “Jingle Bells,” “Twinkle, Twinkle Little Star,” “Row, Row, Row Your Boat” and “Old MacDonald Had a Farm” are just a few examples of recommended songs. *By a Thread: Use 1 hand to run a piece of thread through the eye of 10 needles. 1) All needles are placed sharp side down into a stable surface, arranged from largest eye to smallest. 2) Before starting the game, the player may hold thread with hand of choice, but may not lick or bend it. 3) When the clock starts, player may lick or bend thread as needed, but may only use 1 hand at all times. 4) To complete the game, player must get the thread through the eyes of all 10 needles within the 60-second time limit. *Iron Board Man: Two people maneuver opposite ends of an ironing board in an attempt to land a marble in one of three designated holes. *Magic Carpet Ride: Player must sit on a bathroom floor mat and use an inchworm technique to move around obstacles. 1) Set up 3 obstacles in a line in front of the start line. 2) Player begins game sitting on bathmat with fuzzy side down. 3) When the clock starts, player may begin moving across floor using the designated inchworm motion to move around the obstacles. 4) Player may slalom in any direction around the obstacles, then turn around and slalom back past the same obstacles. 5) If player touches the ground with any part of his or her body, he or she must stop moving forward until their body is correctly positioned back on the mat. 6) To complete the game, player must slalom around the obstacles to the end and back, and the bath mat must cross the start line entirely within the 60-second time limit. *Whack Job: Use a broom to knock a pie tin off a glass, allowing the egg that is sitting on a toilet paper roll on top of the tin to fall into the glass. 1) Set up tower so that it has a glass of water with a pie tin on top. On top of the pie tin is an empty toilet paper roll with an egg balanced on top. 2) When the clock starts, player steps on broom bristles and releases handle so that the handle hits the pie tin with the demonstrated motion. 3) The player may not make contact with the egg tower, and the entire egg must land inside the glass to count. 4) To complete the game, player must knock the egg off the tower and completely into the glass within the 60-second time limit. *Whippersnapper: Player must use a towel affixed to the floor to whip a ping-pong ball into a laundry basket. 1) Set up laundry basket 15′ away from a towel which has 1 end affixed to the ground. 2) When the clock starts, player may put a ball on the towel and “pop” the ball into the laundry basket by holding the 2 closet corners of the towel. 3) Player may place the ping-pong ball anywhere on the towel, but may only place 1 ping-pong ball at a time. 4) To complete the game, the player must toss 1 ping-pong ball into the laundry basket within the 60-second time limit. Link up your housework related projects with the No Housework Party April 07-12, 2014. Domestic Goddess’ and the Domestically Challenged welcome! Welcome to the 3rd Annual No Housework Party! Link Up! Today is ”No Housework Day”! Welcome to the 3rd annual No Housework Party blog hop hosted by the Coolest Non-Domestic Mamas on the Block…Jenn and Rachael! 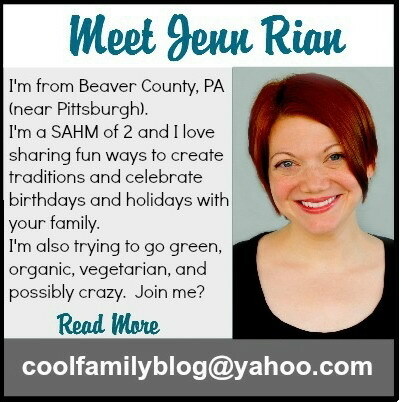 Link up here or at Non-Domestic Mama Friday April 05 through Friday April 12 to party! 1. Family Friendly links only! Our blogs are the only things clean around here. We only have dirty houses, not dirty mouths. (Please do not link up giveaways). 5. LINK BACK! Grab one or more of our buttons and put it in your post with a link back, or simply link back to Coolest Family on the Block or Non-Domestic Mama in your post. 6. Hop and have fun! If you’re a No Housework Party Facebook Fan we’ll be sharing the posts that you link up on our Facebook page. Click here to “like” us. 3.) Make a video about anything…from a table in your kitchen. I dislike all housework but if I had to pick a favorite chore it would be the laundry. I don’t mind laundry so much. Maybe it’s because there’s really no gross factor like there is with dishes. Maybe it’s because there are only four of us and the laundry is pretty manageable. I don’t know. I’m actually really good at folding laundry, so I thought I’d show you how to fold a towel. I know, it’s exciting isn’t it? I like to rock a nice, fancy tri-fold with my towels. Also, I fold in the shadows because I am mysterious (or because I have crappy lighting in my house). Watch and learn, my friends, watch and learn. I just changed your life. If you’re looking for another pointless tutorial you can check out this ooooold one of mine: How to build a jigsaw puzzle. How do fold your towels? Tri-fold, square, origami elephant? Tell me in the comments! Don’t forget to link up your housework (or anti-housework) related posts to the No Housework Party April 05-12, 2013! You can “like” the No Housework Party on Facebook, party with @coolfamilyblog and @nondomestic on Twitter at #nohousework, and follow our Non-Domestic and No Housework boards on Pinterest! 2nd Annual No Housework Party: Link Up! Today is ”No Housework Day”! Welcome to the second annual No Housework Party blog hop hosted by the Coolest Non-Domestic Mamas on the Block…Jenn and Rachael! Link up here or at Non-Domestic Mama Friday April 6 through Saturday April 14 to party! 5. 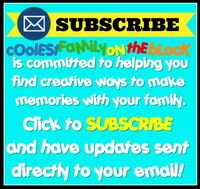 Grab one or more of our buttons and put it in your post and/or in your sidebar, or simply link back to Coolest Family on the Block or Non-Domestic Mama in your post.